Airblast offers four service and maintenance plans, each of which is tailored to a particular level of usage and business size. Contact us today and we’ll help you decide which of our plans – bronze, silver, gold and platinum – is right for your needs. For more information about our service packages, please get in touch with us via our Contact page. Airblast Eurospray offers four main types of dryer that provide various solutions to moisture-saturated air. Airblast Eurospray audits customers' plants and systems to ensure compressed air is being used economically. 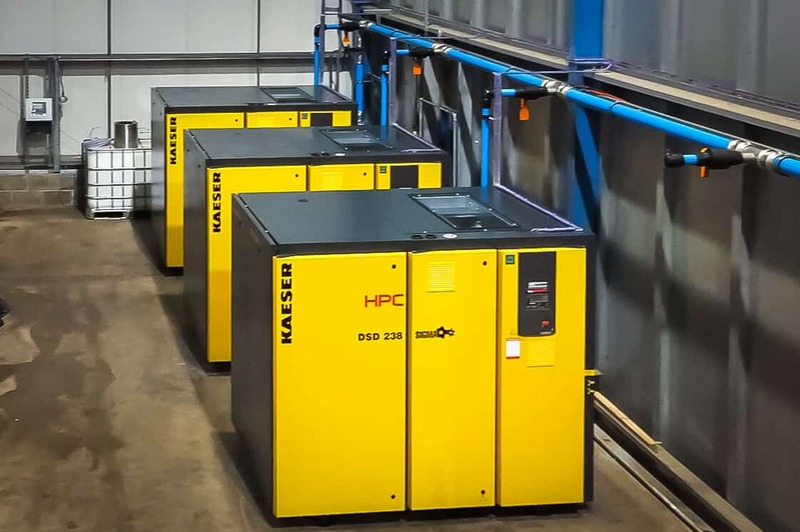 Most oil-lubricated air compressors produce oil-contaminated condensate from filters, dryers, and drains, which must be drained off properly at the collection points to protect the compressor. Airblast Eurospray offers an intelligent, automated external control panel for managing compressed air that can significantly reduce energy costs. Airblast Eurospray supplies high quality distribution pipes to work in tandem with compressed air, medium and high pressure, vacuum, and low fluid power systems. The Extractor is a two-stage, point-of-use compressed air filter. Designed for the final usage of air, it will remove water, oil and other contaminates.